CPS-101HD a big challenge to keep the CCTV system working in good condition. If your customer wants to add HD cameras, the difficulty is more than the beginning. By CPS-101HD, you don't need to run any new cable. Using the original cable to transmit both old camera and new HD camera is done. 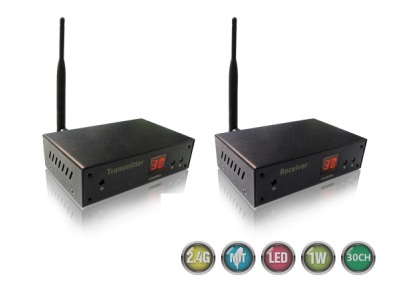 This wireless video transceiver is specially designed for outdoor wireless CCTV installation. Built-in high gain antenna with all-in-one compact weatherproof enclosure, providing excellent video quality transmitted without any delay. Suitable for parking lot, playground, swimming pool, ranch, farm, ...... etc. Long Distance model of 2.4GHz audio/video sender. 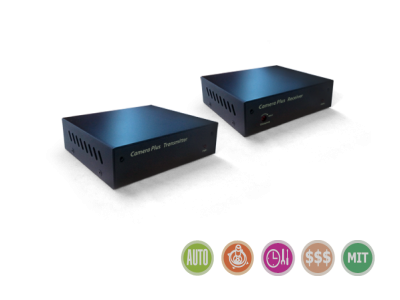 Transmit crystal & clear video and stereo audio signal from CCTV camera / satellite TV / digital TV set top box / DVD player. Available for any AV device and keeping it without interference. Unique frequency to avoid interference from other 2.4GHz Band. TR-2080DT is specially designed for outdoor wireless CCTV installation. 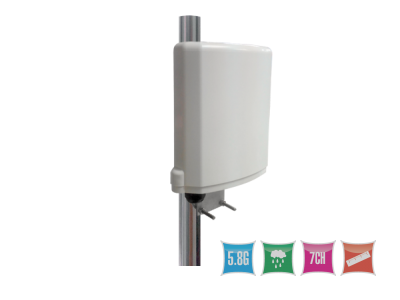 Built-in high gain antenna with all-in-one compact weatherproof enclosure,providing excellent video quality transmitted without any delay. Suitable for parking lot, playground, swimming pool, ranch, farm, ...... etc. This device is an excellent transmission kit to transmit 2 videos with RS485 data via one coaxial cable. No matter you want to install 2 new PTZ cameras or replacing fixed cameras to PTZ cameras, only one pair over existing cable is done. It takes seconds to connect controlling wires to PTZ controller. Simple and easy for you to install 2 PTZ cameras. CPS-101AHD a big challenge to keep the CCTV system working in good condition. If your customer wants to add AHD cameras, the difficulty is more than the beginning. By CPS-101AHD, you don't need to run any new cable. Using the original cable to transmit both old camera and new AHD camera is done. It's a sincere pleasure to greet you from Taiwan. 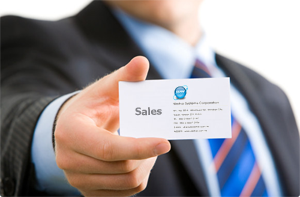 supporter to help every friend to accomplish every project for his customer. Today, CCTV security is one of growth industries with stable rising in every country. To obtain more profit is not what we consider, but to share with more friends. CCTV market is a B to B one at this moment. In many countries, product pricing is not the most important to installers. Because the " Customer Satisfaction" and " After-Sales Maintenance " are more valued to gain excellent reputation. Located in Taiwan and all of our products are made by ourselves, each unit is promised with excellent quality after 3-time QC-------After Producing, Before Stock and Before Shipping. In Japan, our RF Solution is widely installed for many hotels, schools and factories. In Indonesia, there are many dams / reservoirs using our wireless solution. 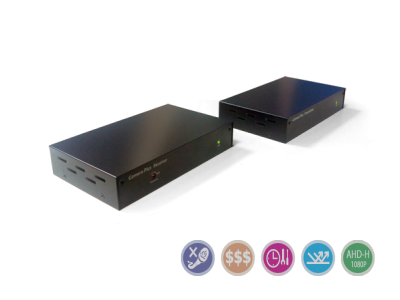 If you go to Russia or Kazakhstan to visit your friends, you will be seen from TV channels by our TV solution for CCTV. When you go to Thailand and Philippines, lots of departments / shopping malls are secured all year round by our CCTV systems. Even you travel in Bulgaria, Czech or Romania by train system, our excellent goods are also there to do their duties. Welcome to Taiwan to visit us. We can share many successful projects in 66 countries with you. Security is always the most important issue to everyone. If you agree with us cherishing quality, honesty and reputation, please do contact with Weihai Systems-------your CCTV partner in Taiwan. Adding new TVI, AHD, CVI & CVBS camera without any new cable. Just one pair for 2CH cameras by existing cable. Multi-AHD 1080P camera solution CPS-AHD 1080P series are released for up to 5 AHD cameras over single coaxial cable.By existing cable, you are free to increase more AHD cameras without any effort.This solution enables not only to transmit multi-AHD camera but to reach longer available distance. New item CPS-101HD is released now. 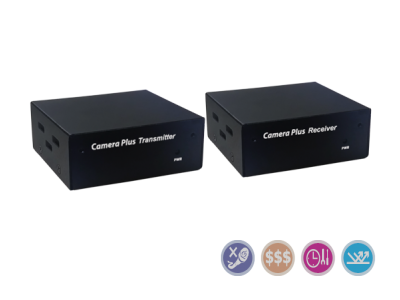 CPS-101HD supports AHD,TVI and CVBS signals for 2 cameras over single coaxial cable. 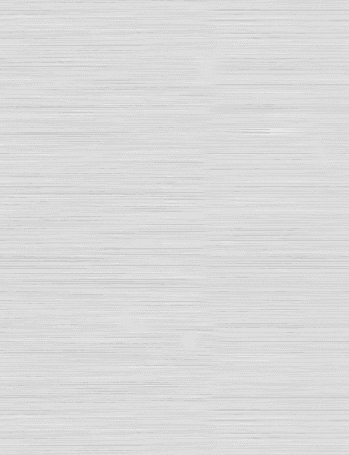 New item for all HD formats will be released soon. 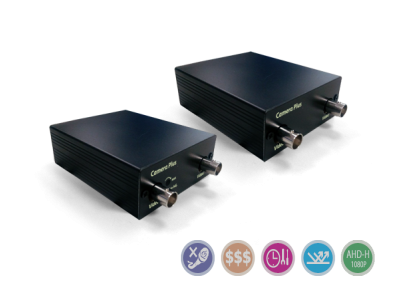 CPS-101HD supports AHD, TVI and CVBS signals. 6F No.88 Minchiuan Rd., Shindian Dist., New Taipei City, Taiwan 231 R.O.C.